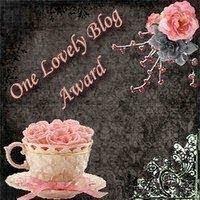 Kristopher and Crew's Rodents of Unusual Size blog was nice enough to honor me with the One Lovely Blog Award. Thanks, K&C! The idea is to pick fifteen "enjoyable and deserving blogs that you've recently discovered." It's always hard to pick just a few out of the many enjoyable and deserving blogs that I read, but the "recently discovered" caveat helps me narrow the list (though "recent" is pretty subjective). That's very neighbourly of you, in all the most sincere meanings of the word, Michael, to be so kind about TooBusyThinkingAboutMyComics. It's much appreciated. You're very welcome. You have a great blog and I love the serious thought you give to what can often be a frivolous medium. In fact, I've got a post coming up inspired by your look at Hank Pym. Woot! Thanks for putting the monkey blog on your list. I appreciate it.